With the CEO Special you will be embroidering on your own commercial embroidery machine with hands-on training at your location in the Continental USA. This is an All Inclusive package and is the highest level package we have to offer in terms of a new single head commercial embroidery equipment. 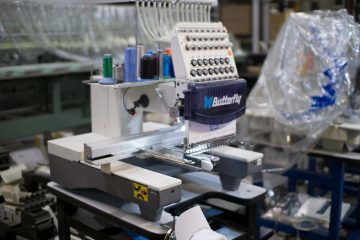 The Butterfly single head embroidery machines comes with a complete cap system, tubular system for embroidery on shirts, USB, digitizing software and more. Butterfly is a brand that has been in the textile industry for almost 100 years! If you are looking for an economically priced embroidery machine without cutting quality, consider the Butterfly brand. Butterfly is a brand designed to run 24 hours a day, 7 days a week. Butterfly is a solid industrial embroidery machine that will compete against any other embroidery machine. Please contact us for more information on the CEO Special Package – ButterFly Embroidery Machine B-1501 B/T .